Re: What are you working on now? Well, you told us to be quiet yourself. btw, looks great, can't wait for it. The lighting looks good, but that's about all I can say since I can't see much else. Yes it looks good but perhaps a more simple version could be more impressive paradoxically. @Forge yeah I'm pretty much relying on contrast to make that area look good for the most part. @Arghantyl, I get what you're saying; the whole "less is more" idea, and I do tend to follow that myself. But this room has no enemies in it and is a plot-relevant room, so it can afford to have a bit of clutter. Did someone say Serious Sam? Hello everyone, I would appreciate some help in knowing where and how I can upload this TC I'm working. I feel primed to do so, hopefully by the end of this month. 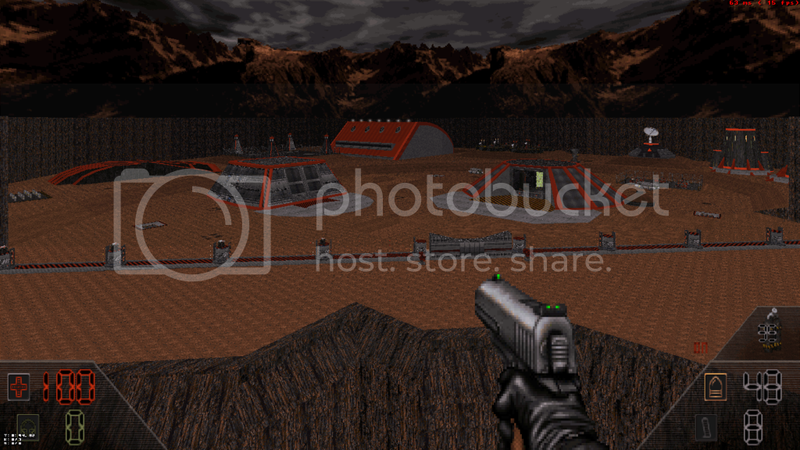 It's a Duke Nukem/Doom mod. I won't spoil anything, but let me share a couple of teasers, featuring a couple of areas of the first episode's first level. if it's too big for an email attachment, get a media-fire account and upload it there, then provide the link to Puritan. Thank you for the response on how I can upload my mod. I'm waiting for a PM response from Puritan on the matter as I told him that the file is below 20MB, so possibly below 7MB when compressed into a zip file. I'll be sure to provide some screenshots of some of the levels as well if I can email it to him. Alright, I have completed my mod, and going to try uploading it on Media-Fire to link for Puritan. For some reason, gmail won't allow me to send any attached zip files containing a .bat as it counts as an .exe file, even though the zip file is about 6MB.